Recorded in-house at the SBS multitrack studios in Melbourne and Sydney between 2001 and 2004. Recorded and mixed by: Dave Ashton, Rob Monson, George Papakotsias, Achilles Yangoullis, Terry Doolan, Guy Gian and Greg Muller. Additional mixing: Greg. L. Seiler. Mastered by Greg. L. Seiler at Blue Mountain Sound. Other liner notes: In 2001, SBS began seeking fresh, emerging musical talent from across Australia. 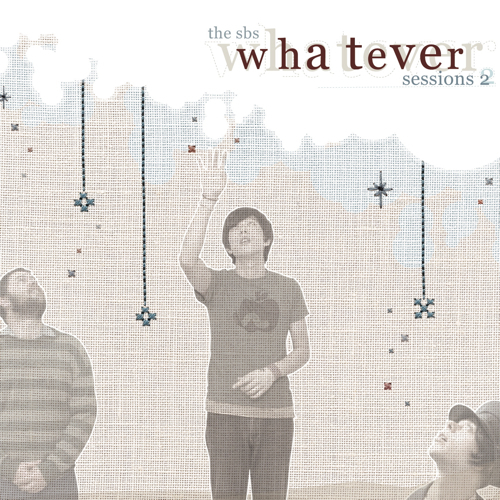 From hundreds of demo tapes and homemade CDs, the Whatever Music team selected 22 artists and bands, took them into the SBS studios, and turned their compositions into radio-ready realities for the SBS website and the SBS Whatever Sessions CD (2003). In 2003/2004, the project entered a second phase, with 10 more bands recording in Sydney and Melbourne. As Whatever continues to evolve, four solo albums will be released as part of the SBS Whatever Music project in 2005. Here we’ve collected some of the best Whatever music to date, to celebrate the creative strength and cultural diversity of original Australian music across all genres. It’s exciting, energetic and it belongs to all of us. Enjoy. Danny Jumpertz, SBS Whatever Music producer and the Whatever Music team. THANKS TO: Will Berryman, Paul Vincent, John Derry, Andrew Brownrigg, Wayne Dziedziczak, Mike Zafiropoulos and Emma Harcourt at SBS. David Tiley and Amelia King at Film Victoria. The Australia Council.